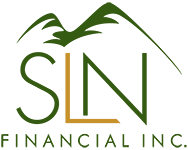 June 14, 2017 - The Correlation Between Interest Rates and Annuities | SLN Financial, Inc. But not all annuities are created equal, and some outside factors affect their performance. For fixed-rate annuities, their distributions directly correlate to the interest-rate environment you were in when you bought the annuity. If interest rates are low when you buy your annuity, you receive a lower monthly payment. Likewise, when interest rates are high, you receive a higher monthly payment.3 So knowing the guaranteed income you need each month against how interest rates will affect the annuity’s value is a correlation worth calculating. But remember, the interest rate alone is not the sole factor affecting how much you make in lifetime income payments. The fact that interest rates can correlate to fixed annuity payouts brings some potential pros and cons. Pro: Your payment amounts won’t ebb and flow. Once you purchase an annuity with a locked-in interest rate, you create a fixed-income amount that you’ll receive for as long as you are alive. Remember: How high or low interest rates were when you bought your annuity connects to the payments you’ll receive. So, even when interests rates decrease or increase as you receive distributions, you’ll continue receiving the same original payout.4 This can be helpful when interest rates drop, as it will not affect your annuity income. As a result, you can plan for a predictable income amount each month that will not change, which can be helpful when managing your retirement budget. Con: You can’t change your annuity’s interest rate. On the flip side, the fact that you cannot revise your fixed-rate annuity payouts could find you missing out on a better distribution rate. No matter how much you invested or how much interest rates change, you’ll carry your purchased rate for your fixed annuity’s lifetime. So, unlike investments like stocks that you can time against market performance to try gaining more value, your fixed-rate annuity doesn’t offer the same option. If you bought an annuity before interest rates rise, you will not benefit from the increase. Overall, a variety of financial factors can help guide which type of annuity is appropriate for your retirement-income needs. If you would like to discuss how our current interest-rate environment could affect annuities or your financial goals, we’re happy to talk. Please contact us today.